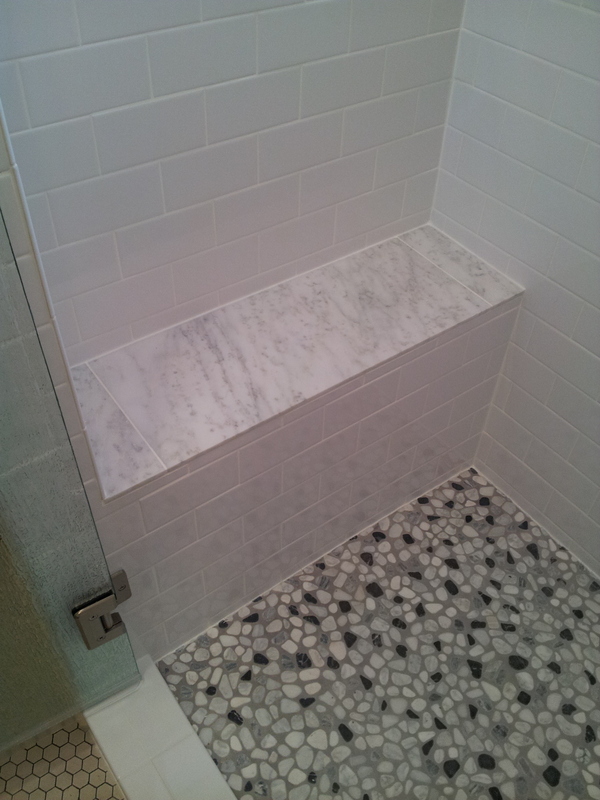 Garfield Bathroom — Loomis Improvements Inc. 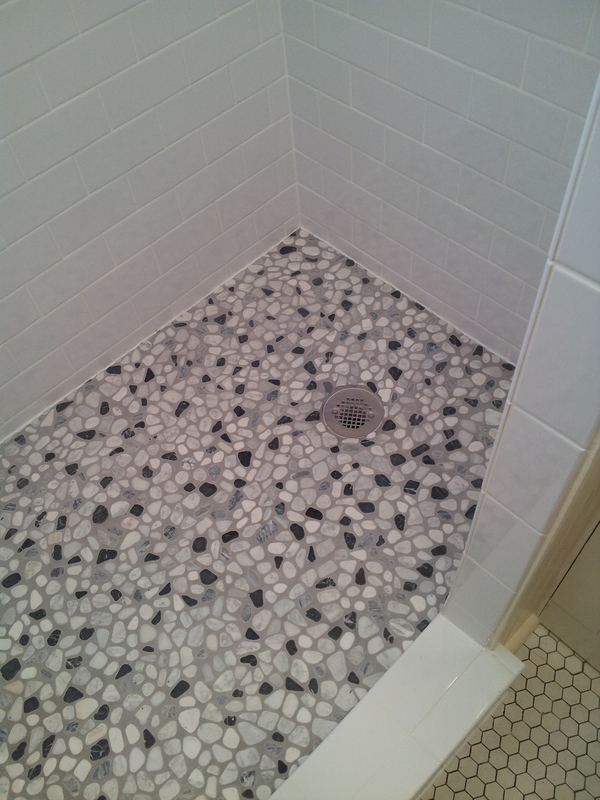 While losing this old clawfoot was a tough decision, my clients gained a much more user friendly and usable space. 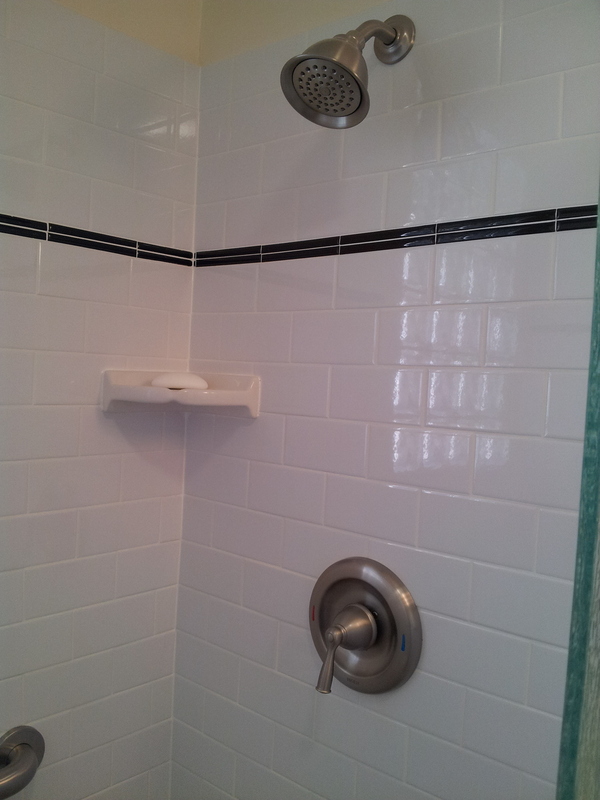 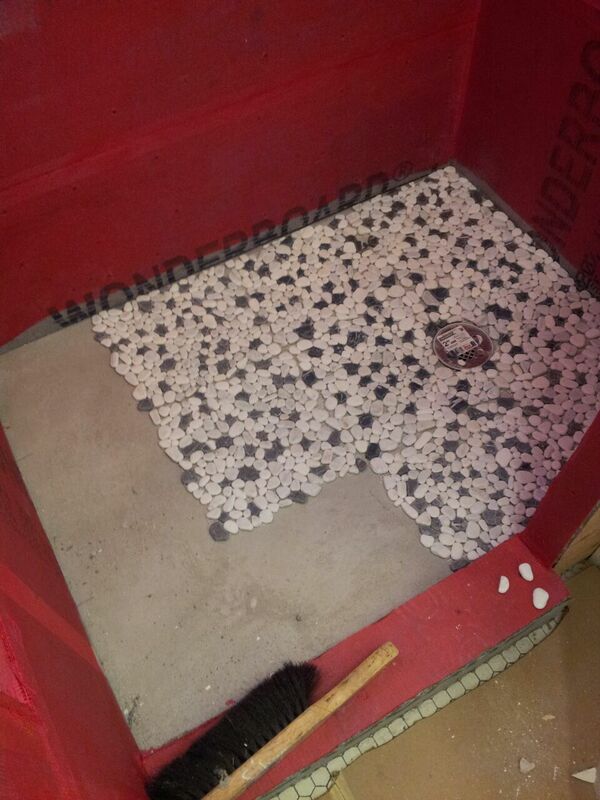 We had a great time creating this totally custom shower tucked in next to the existing vanity. 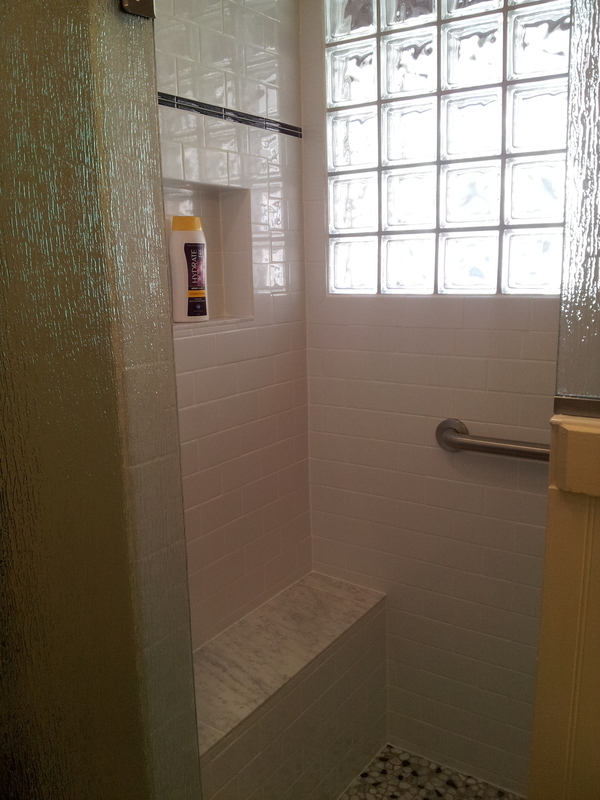 The Shower now has a bench, shampoo niche, shampoo shelf and natural light from the glass blocks. 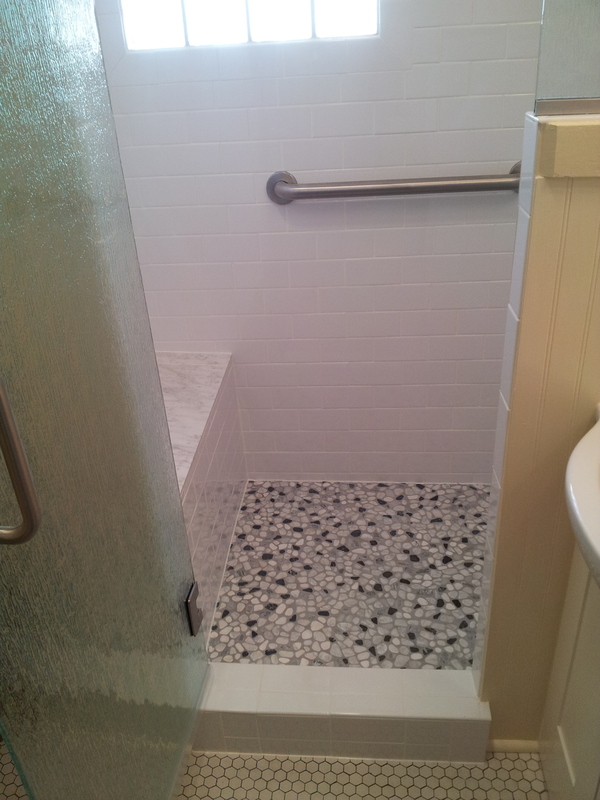 With the extra space on the outside we created a linen closet with the option of adding doors later on.